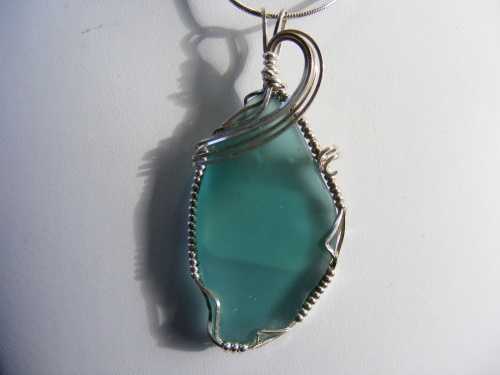 This gorgeous deep teal piece of seaglass is a large but elegant piece embelished in sterling silver swirls. So striking a contrast with the silver this piece is sure to please. Measures 2 1/4" from top of bail to bottom and 1" at its widest part. Comes with a sterling silver snake chain.